The Pondmaster Pond-Mag (formerly Mag Drive) Pump is a magnetically-driven, submersible utility pump for outdoor water gardens and ponds. This unique, energy-efficient design uses only one moving part - a ceramic/magnetic impeller. Installation in larger ponds is a breeze: just connect and plug in to power! Pondmaster Mag Drive water pumps are designed to handle virtually any water movement application, and have been the most trusted pumps in the industry for over 20 years. Each Pond-Mag pump provides quiet, efficient and reliable performance, 24/7. Ideal for any pond application, Pond-Mag Pumps operate equally well whether in-line or submerged. With a ceramic impeller as its only moving part and an epoxy-encased power unit, you never have to worry that the pump will contaminate your water with harmful chemicals or oils. 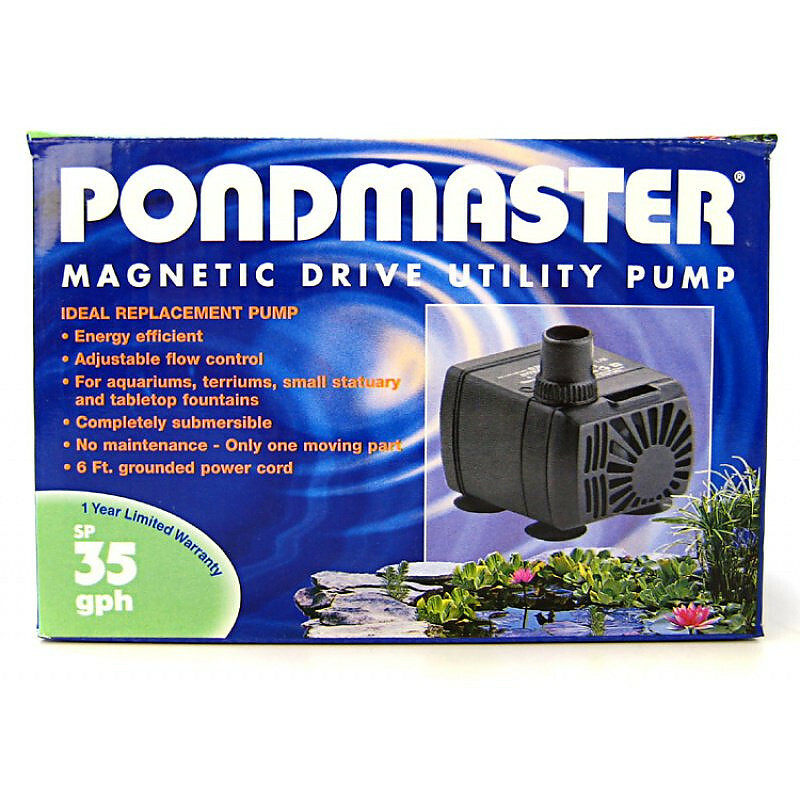 Pondmaster Pong-Mag Pumps are ideal water moving solutions for ponds & water gardens, waterfalls, statuary, de-watering, hydroponic installations, and general purpose clear water circulation purposes. Pondmaster Magnetic DriveUtility Pump: happy to locate this hard-to-find size and quality--quite pleased and so are the fish! Pump arrived in excellent condition. This is the second one of its kind that we have used in our pond. Pump runs most of the year and so the life expectancy that this pump has given us is good. The fish are a lot happier now that the waterfall is moving again. This pump was a replacement from the original set up. The pump is working continuously even through the winter so I guess I should be happy that it didn't need replacing sooner. The pump is a workhorse, just wish it lasted a bit longer. This is a great pump and I use it for pumping from my pond to the ground UV pressure filter I use during warm weather. When the UV filter is disconnected, I use it to pump water from my lower pond to my upper pond to keep water circulating all winter. The only problem I have is that the outlet is small and my pond hose is 1" creating the need for an adapter. Great pump at a very good price. Very glad I ordered this 500 gph pump to retire my existing 250 gph pump. It is very quiet and appears to be solidly and well built compared to other brand. I can use the retired pump as a back up for my other pump. I am thinking about buying another 500 gph to retire my other 250gph pump. Fast and easy to order. Quick delivery to my front door. Excellent price when I shopped online for comparison. Bought the pump and filter to match it. I have a small pond in the yard and this was the recommended size for what I have. It works well. It looks like a nice pump, but not what I expected. The specs did not list the input power required as 110vAC. I thought it was 12vDC..... so have to return it.I'd love to have PetMountain offer some good 12vDC alternatives so they could run with little solar-powered systems stand-alone.I'd really like to have some decent volume for cistern transfer systems, as well as decorative water features in places I don't want to run 110vAC power. Love the new pump, a lot more water flow that I need. I purchased the Pondmaster 950 and it works great. Awesome pump and very good quality product. Great service and product. Fantastic price! I saw the same thing on other sites for double the price. I will use Pet Mountain for all my animal and fountain supplies! This pump did not come with any fittings to connect tubing. It took me several trips to the plumbing store and additional costs to find a fitting that would work so that I could attach an in-line filter. Fast shipping and product works great. This is a replacement for an identical pump that has been in constant use for 10 years. If I get 10 years out of this one I'll be very happy. I have ordered from Pet Mountain several times. I have received the orders quicker than their estimate and items are just as described. My phone contact with them has given me knowledgeable associates who can answer my questions on the specific item. This is a company I actually enjoy doing business with. Lowest priced pumps by far. Found website by chance and very pleased with fast service and free shipping over $75. No stranger to Danner pumps. Have always enjoyed a good success rate with them. This one is no exception. I especially appreciated the prompt shipping and excellent pricing from Pet Mountain. They are now my "go to" vendor for all things aquaria. Needed some assistance setting this pump up in my application. Got NO JOY from Danner AT ALL! Called Pet Mountain CS and received prompt and courteous assistance with my questions. Thank you, Pet Mountain. Good support always = repeat sales. I still am wondering (but not complaining) how Pet Mountain can sell items so cheap! Great products and if you're patient, free shipping over a $75.00 purchase! I will most definitely be buying again!!! Thank you so much. Just as expected. Included bonus pre-pump filter. My front fountain is now back in service!!! The new fish pump was easy for my husband to install. Our new pump is working fine. We just have installed the pump . I like Pet Mountain prices and customer service. Love it. Easy to use and easy to clean. Pondmaster Flaw but 5 star service! 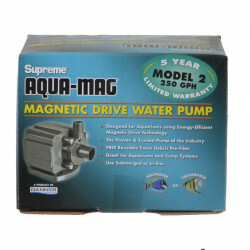 I purchased two Pondmaster Magnetic Drive 9.5 (950 GPH) pumps. They both failed in about a week. Their overall construction and design seemed attractive and rugged, and it was easy to disassemble to service. The pumps have a magnetic drive design so pump will not be harmed if pump stalls due to a clog, etc. The design failed because the internal clutch like part inside the rotor assemble broke. All other parts were fine and seemed to be well built. Petmountain, was great in their customer service, 5 stars to them. They replaced the broken pumps quickly, offered a refund, and even paid for return shipping. With support like this I'll be back to purchase more. Good customer support is hard to find but Petmountain has it! My present pond pump was not powerful enough for my fish pond waterfall. Found the Mag-Drive 9.5 pump at your company. Great product at a great price. This is exactly perfect for my use - we have a large watering trough full of big fat gold fish and they are in that tank 365 days a year - hail, sleet, snow, sun, etc. Have the pump draw the water through a filter and then splash over rocks on top - I like that Pet Mountain has several sizes of these pumps - other websites just have the smallest and largest - really happy with our purchase and it came quickly, packed well and works great! We have a 1000 gallon fish pond and had PM 950 and 2000 PM filter, but there was not enough pressure for the 950 to carry, therefore, we order the 1800 Mag and must say, this one makes all the difference. We have had 3 PM pumps and are very satisfied with them. The price was the best I could find for the 1800 Mag. We are very satisfied with the website and all my orders were delivered in a timely manner. Thanks so much! This is our third PM Pump...my 9.5 mag did not seem to be doing the job for our 1000 gallon pond. We went up to the 1800 and are very, very satisfied with the results. Now I could delete the 2 smaller pumps I had going in the pond. Pondmaster/Danner make a great pump and the price was so reasonable. Very satisfied customer! This pump fits the bill for compactness, quiet operation, and reliability. This is a replacement for one that was burned out when water was lost out of a fountain. Note, running the pump dry for some unknown number of days will make it fail ;-) Shipped quickly, and the price was way under what a local shop priced the same unit. I'm very happy with this online experience. Best price I could find anywhere. Good notification and follow-up and the pump is exactly what it stated. As is working well! I had this pump in my pond for about 18 months and as time went by its flow rate diminished. Then one day it stopped working. It appears that the prefilter came off. Perhaps something entered the pump that made it malfunction. My fish have a tendancy to move rocks and equipment in my pond so perhaos they pushed the prefilter off. Rather than try to repair it, I bought a different pump and it was a disaster, it stopped moving water in under a week as its prefilter was quickly clogged. So I took that one out and replaced it with this unit again. I noticed they reinforced the prefilter so hopefully it will not fall off again. I also wedged it between two rocks to try to keep the fish from pushing it off. It is moving the water very well and its output appears to be as promised. I would just say that you need to be prepared to clean this pump regularly and make sure the prefilter stays in place. Great pump at a great price. I built a filter system to siphon debris from my marine sand, and I needed a low flow pump. The 1.9 works perfectly. The price was/is great, and a 5 year warranty is a nice bonus. Thanks, Petmountain! Purchased 500 gal. Pondmaster pond pump for exactly 1/2 the price that I paid locally. Fast delivery and great price. Can't beat it. I have a 120 GPH pump running a 300 gallon pond which has now run one year almost non-stop and is going strong. I added the 250 GPH to run in a larger addition and have no complaints. Hoping it measures up to the older one in durability. 18' cable is a plus! Great pump for a small water feature. The previous pump ran for 8 years with regular filter cleaning. The new model came with a basket filter which should reduce maintenance. This will be my 3rd pump. Get about 4 plus years out of them. Satisfied with the performance. We needed to replace the pump on our outdoor waterfall - found one at our local garden center but didn't want to pay the $160+ price tag. Got this exact same pump at PetMountain for half the price. Free shipping and no sales tax were icing on the cake. Easy order process, shipped right away and we got it in just a few days. Outstanding experience - I'll shop from PetMountain again!!! It took a couple of days but customer service responded to my email analyzing the size of pump I needed. I went with the 12. Its the same kind I've had for 10 years. The delivery came as promised and the price... its great! A local store had the same pump that I paid $119.99 for $209.99 plus tax! Great price. Great service. Will definitely order from them again. Product arrived in very timely manner and works great. I've used Pondmaster pumps since 1996. They are reliable, economical to purchase and run, and last for years and years, running 24/7 in all weathers. Highly recommend. I bought this pump to replace another brand of more or less the same size. I like the pre-filter. It's in the bottom of the pond right now doing what it's supposed to do. This is the second 9.5 mag drive pondmaster pump I've owned. We use it in our backyard fish pond to power the waterfall and we have never had a problem. Pet Mountain had the best price out of several companies that I checked out, the pump arrived at the promised time and in excellent condition. Very happy with the pump. It moves a lot of water which is what I wanted because it is used to pump water for the water fall in my pond. Excellent price. Will be sure to check out your site the next time I need to make a purchase. The garden pump was a great price, it arrived quickly, and it is just what I needed. It is working beautifully -- thanks. Have had this pump twice...first pump went for three years...the last pump didn't make it for one year. Makes me wonder why and should I chance another 1800 gal. pump? We've wasted $$$ on pumps that can't take replacement parts. Finally found this one. It arrived secure in it's packaging, promptly. Week one, performing beautifully. Will review again later. Great pump for a waterfall! I have had this exact pump working in my outdoor waterfall non-stop for about 6 years. It has worked perfectly as long as I did my job to keep it free of leaves etc., I expect this one to do the same and it has a 5 year warranty. Who could ask for more? Also the delivery from Pet Mountain was perfect...came earlier than predicted and well wrapped and protected. A good company to deal with it appears. Had bought this same model 8 years ago from a landscape and garden center for approx $250.00 + more eight years ago. Couldn't find one local so had to hit the internet and found here thankfully. I've used my last one all year round, 24/7. Had a spare pump so didn't have to rush shipping. I bought my first Pondmaster pump back in 1999. Here in NY it is in service from about April to mid Nov., and over that time has provided me with good service. Last year it developed a crack in the front cover and I tried to repair it, but it did not hold up, so I knew it was time for a new one. (As an aside, my neighbor had one that lasted 14 years.) After doing internet searches, I found that Pet mountain had the best price, so to take advantage of the free shipping, I ordered some filter media. This was my third order placed with this company. I thought that shipping could have been faster, thus the four stars. Good pump that does all I ask of it. The price that Pet Mountain charges is obviously the best price out there. I use this pump in a flotation tank using a high solution of magnesium sulfate. Most of the time it is great - quiet and effective. I have had two of these freeze up, however and be unsalvagable. I still like the pump and appreciate the good prices and service. Petmountain had the best price for this pump. I emailed customer service with some questions and they responded promptly. Item was shipped and arrived in a short amount of time. Couldn't ask for a better transaction. Thanks Petmountain! Shipping was fast and the mag is a great pump, did have to add a fan to my cabinet, but pumps a lot of water and it's fairly quiet. A replacement for one we use in our church baptistry. Purchased the next size up.Web site is easy to navigate and pricing was excellent. Quality product and company. 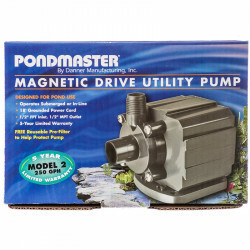 This is the second Pondmaster Magnetic Drive Water Pump that I have purchased. The first one lasted 10 years. They are an excellent product. I got this for my pondless waterfall and 20' stream. I have almost 7' elevation from pump to outlet and 40' of 3/4" hose. It performs very well and produces a good volume of water for the stream that empties into a 31 gal. tote tub that I use for a reservoir. Pondmaster finally put a plastic filter cage onto this pump. My last pump broke because the sponge filter kept falling off, the impeller would become clogged, and I would continually have to drag the pump to the surface and unclog it. There is no such problem with the plastic filter cage that came with my new pump. One of the best reviewed! Solid construction. Cannot wait to use. Typically, shipping was almost faster than the payment clearing - yay! This pump did come with a pre-filter. Buying one separately is not necessary. I have been using this pump for several years. It works great and is very reliable with one major exception. The impeller has a ceramic shaft that easily snaps in two if any debris gets in and clogs it. This is a design flaw. I finally got a pre filter that has stopped this problem, but the shaft should be metal or something sturdier as it should not snap when it gets clogged. I bought this pump 20 years with a case and filter. I have been looking for this pump for 2 years since the old one died and was thrilled to find it at a reasonable price. It is exactly what I had and it fits in the filter box and is in my pond at this moment cleaning things up. Thank you. The big Pondmaster 2400 pumps are strong, efficient and trouble free. I would recommend them to anyone. Great Product. I have used mine for 5 years without problems. This is a 1800 pump. It is great. The pump works great. It is just the right size for the fountain. The fountain works better than it did when it was new. I've had my PM 9.5 for 2 years now for my 50 gallon Fish Tank. Below it is a Filter Tank, so the head is 4' from there back into the Fish Tank, and for the most part it is really great. I decided I wanted more filtration, but with the new filtration, the 9.5 cannot keep up with the outflow vs. the inflow back into the Fish Tank. Nonetheless, I intend to purchase the Mag Drive 5 to compensate because I am impressed with the Pondmaster power and longevity. We won't use any other pump. My husband and I bought one 5 years ago. We rarely cleaned it and it still ran without any problems. That's why we are buying another. This time we plan on cleaning it. Five P.M. Mag-Drive pumps going on 12 years-old! I've been using these pumps for sixteen years now. I left several in AZ when I moved, but got new ones here in Florida. Bought the 5, 7, 9.5 and the 12. The 5 and 7 have been used continuously in my wet-dry filters for a 72 gl and 125 gl. The 9.5 and 12 have been used in outdoor ponds. All are going on 11-12 years old. The only maintenance was for the 12 which got a small rock sucked up into the impeller. So simple to fix, just unscrew pull out, brush (toothbrush) clean and reinsert. By the way I even dropped the magnetic impeller and chipped the magnet but just put it back in (even though u can buy replacements quite easily) and plugged it in. All have been running for the years stated and 24/7. I'd never be without them!!! I can't say one single negative about these pumps! I have a PM 1800 now for 5 or 6 years. It runs 24/7 365days never turns off and only had to replaced the impeller once. Just lost my waterfall pump for the 3rd time, another brand which runs 24/7 for about 6 to 7 months per year. Had enough so I'm replacing it with a PM 950. Bottom line you get what you pay for. Will never look at or buy anything but a PondMaster Magnetic Drive Pump again. Just got my Mag-drive 7 pump and I loved it. Price is very good too. We are so pleased with it!! Our previous 1200 GPH Pondmaster mag pump lasted over 7 years with no problems. However, After several seasonal cleanings, we thought it best to purchase another one. What a great price Pet Mountain! Appreciate your help and assistance. We have used this pump for the last 5 yrs without any problems.... I highly recommend to anyone want a pond pump without maintainance. After struggling with other pumps, I purchased the Mag-Drive 18 pump and it has worked perfectly. It is very quiet and it has significant power. I'm still in my first year, so I don't know how long it will last. But so far, it has been great. The pump is much more powerful than the previous brand that I used. The problem I have is with the pump filter. It is a two piece affair that is made very thin and flimsy. It collapsed on the first day of use! I was actually sitting on my swing watching and listening to my waterfall that never had this much water coming out of it before when the flow suddenly slowed to almost nothing. By the time I got the pump shut down ,I discovered one of my prized goldfish, Earl, had gotten sucked into the pump inlet. Sadly, I had to take him out behind my barn and put him down, thankfully it only took one well placed shot. ( I kinda made up some of that last part). I'll now make my own filter that won't collapse or fall apart. I think the company has to re-think their filter design to make total package 100%. My 700 gph Pondmaster has been good and never clogs but recently gave up the ghost after about 2 years. Still a good buy for $75 and better than the other alternatives. Glad some folks are getting more life than I do. The Mag 18 pump is just one of several Pondmaster Pumps I have owned. All have exceeded expectations. Most have been operating 8 years or longer. Repair of the one moving part (impeller) is easy and inexpensive. THE MAG 18 PUMP IS JUST ONE OF SEVERAL PONDMASTER PUMPS I HAVE OWNED . ALL HAVE EXCEEDED EXPECTATIONS .MOST HAVE BEEN OPERATING 8 YEARS OR LONGER.REPAIR OF THE ONE MOVING PART (IMPELLER) IS EASY AND INEXPENSIVE.A VALUE VISTA!!! I have three of these pumps, two 9.5's and 12. I have used them in my wet/dry filters for years with no trouble at all. The Mag 12 I use to transfer water for water changes works great. I have used a Pondmaster 700 for about 4 years and it has worked flawlessly. My wife wanted to add a few more feet to her waterfall and a new stream so we are ordering a 950 gph pump for her addition. If it works as well and as economically as our first pump I know we will be very happy. Can't beat this pump ! I was impressed by the construction and operation of this pump. Note:If you purchase this pump expecting to hook up a raw hose to it, you will need a fitting, as it doesn't come with one. This pump definitely impressed me with amount of volume it pumped to the top of my 9 foot waterfall. It is pretty heavy -- helping it stay in place, and probably giving me that "solid feel of quality". Seems like it'll go for the long run. The Pondmaster Mag-drive is a serviceable pump and very simple to use. The main drawback in my experience is that hoses need to be clamped to the intake and outflow nozzles- it would be nice if that were a part of the package and instructions! Great pump for the money! The first pump lasted Five years. I hope to have the same luck with the new one. The Mag Drive was recommended to me last year for my small pond and I would not dream of using anything else. Very durable and reliable. Pet Mountain has the lowest prices of anyone and I have searched! I've used Pondmaster Pumps before and they have proven to be the best for me compared to others of similar cost. After looking everywhere Pet Mountain has the best prices! Used in water garden when we first put it in 5 plus years ago. Still running but want a larger capacity pump. I have to replace this pump now but had it working well for 5 years. It was opened to replace the inner piece and wasn't connected tight enough. If not for that it would still be operating. I will purchase another and highly recommend it to any new shoppers. I had this for 3+ years, always reliable, quiet, and pump water really well. Expensive, but you get what you paid for. I have had this pump before worked great until my Lab wanted to see what was inside, Did not even think of another pump this one was so great! We been using the pondmasters for many years and they work great. They last long and run for many hours. This pump ran continuously for 10 months of the year for 2 years. 24 hours a day. no problems. 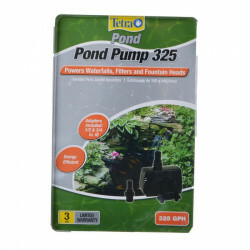 your pumps are reliable & trouble-freehave enlarged our pond 3x & have always used pondmaster- wouldn't use any other! They never wear out. I have been using my Model 7 for well over 3 years now without a problem. I have had to replace the impeller once due to my own negligence.. forgot to put the filter back on =] Watch out for those little rocks! I had this pump for 8 years before I had to replace it. 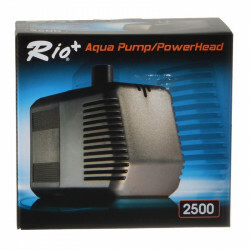 Its a great pump for my waterfall and you guys have the best prices by far! Quality pump and runs quitely compared to others!